The Bosnian American Genocide Institute and Education Center (BAGI) is a not-for profit charitable and educational organization. BAGI is dedicated to scientific research pertaining to the genocide that occurred in Bosnia and Herzegovina from 1992-1995 and to educate others about the holocaust, genocide and other forms of crimes against humanity. The purpose of the mission is reconciliation by teaching universal lessons that combat hatred, prejudice and indifference. 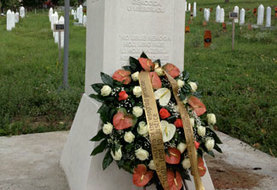 The process of reconstruction of Bosnia and Herzegovina and the common life of all its constituent peoples must begin from the truth about the acts of aggression by Serbia, Croatia and Montenegro against Bosnia and Herzegovina, the genocidal policies which were created in Serbia and enforced in Bosnia, the truth about the genocide of Bosniaks (1992-1995) and conviction of its perpetrators in the Hague International Court of Justice. March 23, 2016 – Nearly eight years have passed since the arrest of Radovan Karadzic, the first acting president of the small entity known as Republika Srpska located in Bosnia and Herzegovina. According to the International Criminal Tribunal for the Former Yugoslavia (ICTY), Karadzic has been indicted on: two counts of genocide, five counts of crimes against humanity and four counts of violating the laws or customs of war for the genocide and aggression that occurred from April of 1992 to November of 1995. He has been accused of orchestrating a genocidal campaign of ethnic expulsion by forcing Bosnian Muslim and Bosnian Croat civilians to flee their homes through terror tactics that included: sexual assault, relocation, torture, imprisonment and murder among many other criminal acts. On March 24, 2016, the ICTY will release a judgement in Radovan Karadzic’s case after interviewing over 500 witnesses and spending more than 400 days at trial. The Bosnian-American Genocide Institute and Education Center places a great deal of responsibility on the ICTY to deliver a ruling that will provide justice for the victims, survivors and their families. It is crucial for the communities and individuals who have been affected by ethnic expulsion, sexual assault, torture, detention and murder that they see justice in their lifetimes. We expect a guilty verdict on all counts of Radovan Karadzic’s indictment as well as the longest possible sentence considering the gravity of his crimes. It is no secret that the increase in nationalistic rhetoric and idolization of war criminals like Radovan Karadzic in Bosnia and Herzegovina is growing and we are very concerned. We would like for this ruling to be a seed of hope for the multi-ethnic Bosnia and Herzegovina that we all believe in. However, in order for that to happen we need more action from citizens, the local police and court system to prosecute perpetrators who have lived the last two decades consequence-free. We are here to hold the perpetrators accountable and combat genocide denial. As the world awaits the ruling for Radovan Karadzic’s trial, we want to honor and remember the lives that have been lost, destroyed or displaced by the aggression on Bosnia and Herzegovina. We see this ruling as an opportunity to advance the process of reconciliation. The pillars of reconciliation are grounded in truth and justice. We believe that the ICTY ruling will be that step towards the truth about the genocide in Bosnia and Herzegovina and towards the justice that is needed for the victims and survivors of the genocide. We believe reconciliation is possible and we are certain that a guilty ruling will be a step forward towards a just and multi-ethnic Bosnia and Herzegovina. In collaboration with the Illinois Holocaust Museum, the Bosnian-American Genocide Institute is co-hosting the "WITNESS TO GENOCIDE: TWENTY YEARS AFTER SREBRENICA" at the Illinois Holocaust Museum. In recognition of the twentieth commemoration of the Srebrenica genocide (Bosnia), join us for a thought-provoking symposium as renowned thought leaders from around the world examine the international diplomatic, humanitarian and media response in the aftermath of the genocide as well as the legacy of survival. Don’t miss this evocative exhibition that features photos from Tarik Samarah, the Bosnian photographer who captured the lives of Srebrenica Survivors and the work of identifying the dead. Exhibition produced by the United States Holocaust Memorial Museum. The Golder Family Foundation is the lead sponsor of all Museum special exhibitions. The Bosnian-American Genocide Institute and Education Center; Bosnian American Cultural Association; Brotherhood of Bosniak Genocide Survivors; Kozarac Association; Srebrenica Association; Bosnian Library, Chicago; BiH Club; Organization of Sarajevan’s in Chicago; Bosna TV, Radio “Our Word” in Chicago; Chicagoraja; United Bosnia; and Professor Dr. David Pettigrew with all Bosnian-Americans under these organizations, as well as all that signed the attached petition are requesting that the United States of America withdraw its permission for Mr. Branko Pecanac, General Consul of Bosnia and Herzegovina and for Mr. Nebojsa Acimovic, General Consul of Serbia to perform their duties in Chicago insofar as they have abused their positions by identifying with extreme Serbian ultra-nationalist forces in their presentations celebrating January 9th, - Serb Republic Day in Chicago, 2014. (To read more, please see attachment). 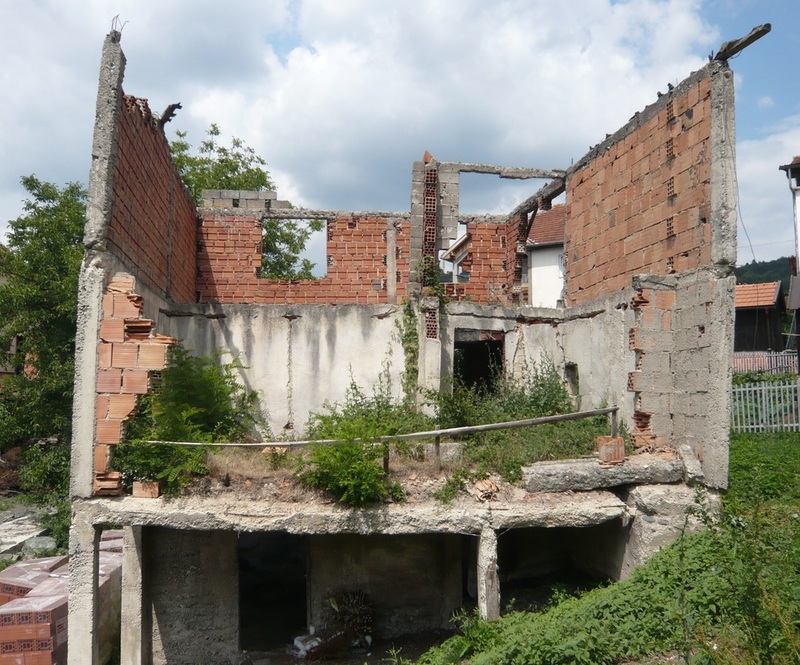 We are writing to express our gravest concern about the plans of the Višegrad municipality (in Republika Srpska) to destroy the Pionirska house, one of the houses in Višegrad where the Lukić cousins trapped approximately 60 innocent Bosniaks in the basement of the house and burned them alive. The municipality also plans to remove the term “genocide” from a memorial to the victims of the genocide that has been erected in the Muslim cemetery in Višegrad. The recent municipal order authorized these destructive actions to take place on December 24, 2013. (To read more, please download attached letter). Bosnian American Institute and Education Center ( BAGI), SAD, is writing to in regards to the upcoming showing of “Ravna Gora” at E Street Cinema, Washington D.C., on December 11, 2013. We are very alarmed that the respectable E Street Cinema will be showing this particular series because it deems to revise historical facts and is being used to glorify the terrorist Chetnik movement. This wreath was laid today in behalf of BAGI (Bosnian-American Genocide Institute and Education Center, Chicago, IL) by Mirsad Causevic, an honorary member of BAGI. He returned today to Omarska for the first time since he was a prisoner there. Mirsad wrote the following reflections: "First time visiting concentration camp Omarska. Over 20 years ago I was a prisoner here, many did not survive." THIS IS IN THEIR MEMORY! 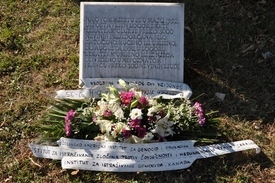 In memory of victims of the Aggression on Bosnia and Herzegovina ('92-'95) and the genocide against Bosniaks in Prijedor, I placed flowers at the memorial plaque Keraterm Concentration Camp in Prijedor in my own name, on behalf of the Bosnian-American Institute for Research of Genocide and Education Center(BAGI), Institute for Research of Crimes against Humanity and International Law of the Sarajevo University and the Institute for Research of Genocide Canada (IGC), on July 17 of the current year. The aims of the visit Keraterm Concentration Camp are: commemoration of the victims of the Prijedor Genocide (2,082 victims have been found and indetified, but 1,200 Bosniak and Croatian victims are still being searched for), not to forget the place of suffering, to send a message that the crimes are not to be forgotten, and that all the perpetrators must be brought to justice. I am placing a wreath today at the memorial in Stražište cemetery in solemn memory of the victims of the genocide in Višegrad. I am doing so in cooperation with the University of Sarajevo Institute for the Research of Crimes Against Humanity and International Law; the Institute for Research of Genocide, Canada; and the Bosnian American Genocide Institute and Education Center, Chicago, IL, USA. I thank them for their support. I am especially grateful to Prof. Dr. Smail Čekić for all his help with planning and arrangements. To read more from Dr. David Pettigrew, click here.